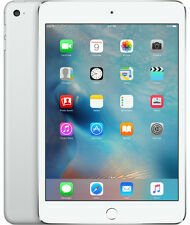 Apple iPad Air 1st Gen. 128GB, Wi-Fi, 9.7in - Silver. GOOD CONDITION, GRADE B, WORKS PERFECTLY. Grade B Condition, working perfectly. Model: Aspire P3 ee3. Storage: 128GB. Connectivity: WiFi., 1000% Happy With Item. We can only apologize for this, and hope this does not cause you any problems. Great service. Quickly resolved 1 small issue. All iPad's are fully tested and in perfect working order. Need an Apple box for a gift etc?. Link below. FREE 12 Month Warranty. 12 Month Warranty. The case is a Pipetto iPad mini 4 Origami case, which does have marks and signs of wear on inner cover, see photos. Apple iPad Air 2 - Silver With a few Cracks on Screen. I pad deleted back original start up. Apple iPad Air 1st Gen. 128GB, Wi-Fi, 9.7in - SPACE GREY. IN FULL WORKING ORDER AND GOOD CONDITION. Apple iPad Air 1st Gen. 128GB, Wi-Fi, 9.7in - Silver. Excellent condition, no marks on screen. Apple charger and case included. Dispatched with Royal Mail 2nd class signed for. Apple iPad Pro 1st Gen. 128GB, Wi-Fi Cellular (Unlocked), 9.7in - Silver. Condition is Used. Dispatched promptly on payment with Royal Mail 1st Class. iPad has always been kept in a case and is a fantastic workhorse, edits raw photos from my dslr with no issues, only selling as replaced with larger iPad. Huge 128gb of space is super handy and will work with any UK mobile network and WiFi. Always used a screen protector. Current protector is cracked at edge but still usable. Maximum storage expansion: MicroSD (TF) 128G. Maximum storage expansion: MicroSD (TF)128G. WIFI: IEEE 802.11b / g / n transmission protocol. Bluetooth version: 4.0. Touch screen: capacitive screen, multi-touch. 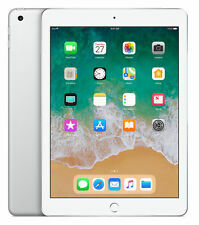 Apple iPad Pro 1st Generation in Silver. 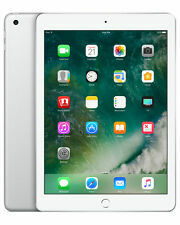 Apple iPad Mini 4 (128GB). The iPad is new, boxed and sealed. I have an older one that I still use so this one just isn't needed. Check out the apple website for more information. 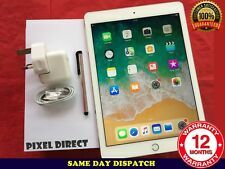 This is a silver Apple iPad mini 4 128GB Wi-Fi (a1538) in great condition. 128GB Capacity. Condition is Used. Hardly used, with apple pencil and leather cover. Still Have Factory Seal Cover From New And Is Unlocked To Any Network. Apple I Pad Mini 3. Factory Reset Before Dispatching And Can Update To The Latest Ios 12. Apple iPad mini 2 128GB, Wi-Fi Cellular (Unlocked), 7.9in - Silver. Condition is Used. Working and in good condition. Screen is unmarked as screen protector was used. Marks on edges across all four sides as per photos. Used by young son. At least three hours battery usage if constant YouTube usage. In original box with plugs and leads. Great present for a young kid. PayPal only. For UK delivery only. Will be sent by Royal Mail Special Delivery. No return. Mint condition all round. Box mint too. No scratches or marks on device. Always used with high quality case & screen protector. Colour Grey. Manufacturer Colour Space Grey. Depth 0.61cm (0.24"). Touch Screen Technology Multi-Touch. Apple iPad Pro 1st Gen. 128GB, Wi-Fi Cellular (Unlocked), 9.7in - Silver. Condition is great, Battery life fantastic. Dispatched Royal Mail next day special 1pm delivery tracked and signed for. Condition is Used butis um marked screen in excellent condition. Microsoft Surface Pro 4. Condition is Used. Sounds/speaker work fine. Internet works fine too. No known faults. The input ports were previously not working however it has now been fully repaired! Excellent condition iPad Pro 9.7" 128GB Wi-Fi Silver. Very lightly used. iPadcase glass screen protector (already on iPad) can also be included if wanted. Small dent in speaker. Screen free from scratches. Microsoft Surface Pro 3. Aside from the touchscreen not working, the rest of the device functions fine. OS installed and ready to use. OS loaded and ready to use. Packaging is unopened and still sealed in cellophane. Standard Apple warranty included. Microsoft Surface Pro 3. 12" screen. The device is in a great condition and keyboard is not included.